The Right Way To Delegate (Part 2) - Organising Works! 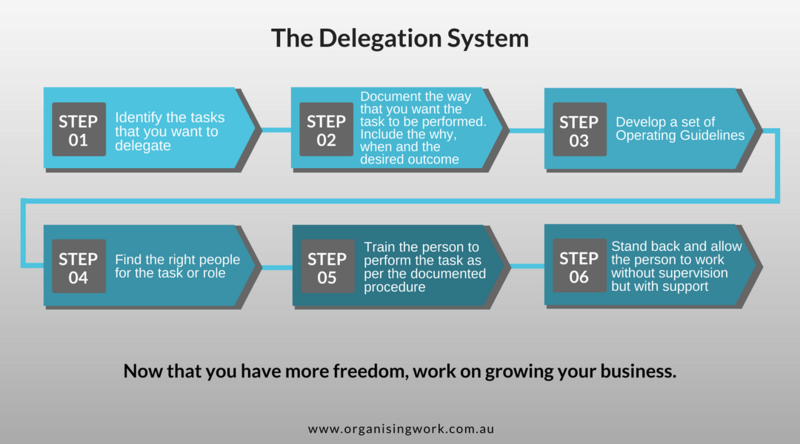 We previously looked at a proven system for delegating. 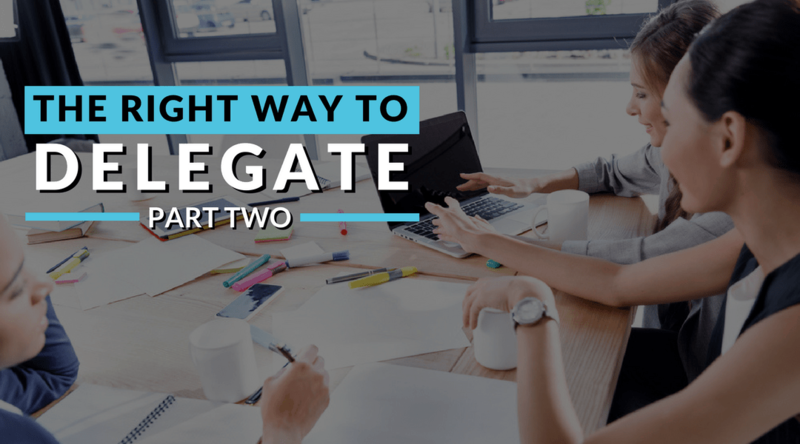 If you haven’t read part 1, click here to read about how to delegate effectively. Once you have made that decision to delegate and you know the right way to deleate (the system from part 1), the next step is to work out what to delegate. If you have an established team, you more than likely have assigned a role and a job description. If however you are building a team or you are doing too much of the daily activities yourself, then this list of possible tasks to delegate will prove helpful. You will be surprised how many tasks you actually can delegate within your business or outsource to a remote team or agency. There are general tasks that are common to most business then there are tasks that are unique to you. To speed up the process, I’ve developed a list to help you discover tasks you may not have thought about that could potentially save you hours per week or month. From the list, highlight the tasks that you want to delegate. Some of the tasks you may need to delegate in the future; they possibly don’t exist now. This list will help you to plan future hires. Tip: Make a list in a spreadsheet or Evernote of the tasks you would like to delegate in priority order. You can’t effectively delegate and manage the results of too many tasks at once so think of tasks that will free up your time first, then prioritise from there. So let’s take a step back. In part 1, we have talked about the right way to delegate and you have the free download of lists that you can delegate. However, there is more that needs to happen to make your delegation truly successful. Here are the missing parts. Knowing what you will be delegating or which role you are hiring for is crucial before attempting to recruit. The type of work to be performed will require a certain skill set and the right attitude. If you are planning to hire, make sure you have a clear list of requirements. If you already have team members in a role, re-examine their performance to ensure that you have the right person is in the right role. When looking for the right people, look for those who are comfortable with your systems, who have great attention to detail, and people who want to be a team players in your business. If you don’t have the right person for the job in the beginning, no matter what you delegate, you will not get the desired results. We touched on this topic in part 1 when we talked about delegation and abdication. If you have the right people, the system to delegate effectively, know what to delegate, then next comes leadership. It’s impossible to write out procedures for every possible scenario that might come up in your business. What happens when you delegate a task, but something comes up that isn’t covered in the written procedure? That’s when you need your leadership hat and create your Operating Guidelines. These guidelines are often referred to as policies, decision making guidelines or operating principles. Basically, they are a set of rules to help guide and empower your team to make the best decisions in the interest of the business. Having these guidelines in place will reduce the dependence on you the business owner, allow your people to get on with the work easier and faster and saves you time from writing out hundreds of possible scenarios that could potentially play out. Operating Guidelines are a set of rules to help guide and empower your team to make the best decisions in the interest of the business. When you have all the elements in place, you’re all set for delegation success! Your team work fluidly, things get done efficiently, your team are happy and, they don’t have to rely on you. This is when you start to experience leverage, the systems you put in place are really working hard for you. Getting to this point takes some effort but as with all aspects of systemisation, the effort pays off in the end. So there you have it, a complete Delegation System. Remember the formula, stick it on the wall or somewhere you can refer to it quickly. To find out how to systemising your business, let’s talk. Book a time to tell me about your business and what you really want.